Small businesses have modest asset management requirements, and so they have no need for big, complex asset management systems. The ideal system should be inexpensive, quick to set up, easy to learn, and simple to use. There is no reason to spend a lot of time and money on it when a company has neither the means nor the expected return on investment to justify such a move. Thankfully, there are a number of simple systems for asset management that are available to any type of business. Try using one of these to save time and keep costs down. We’ll start with Boxstorm, which is an online solution. It offers extensive asset management features at a low price, which starts at zero. Boxstorm Forever Free costs nothing, and it helps small business track their inventory and keep things simple. Boxstorm is so simple and easy to use that you will be able to master it in no time. In fact, when you log into it for the first time, you are greeted by a tutorial that walks you through one of Boxstorm’s key features: the process of adding a new item. It tells you where to click to add an item, how to name it, and then how to add the inventory quantity, cost, and location. Once you have finished adding your first item manually, you will then be directed to the part of the interface that allows you to add many items at the same time by importing them in an Excel spreadsheet. There is even a CSV file template you can download so that all of the information will be formatted in the proper way. If you prefer, you can skip this tutorial, but most first-time users find it to be a helpful way to get started with the solution. At the end of the tutorial, a message pops up that introduces you to the fact that Boxstorm allows you to download an Android or iOS app of Boxstorm in order to scan items in and out using a barcode reader feature on your smartphone or tablet. You can also use the app to take pictures and associate them with items in your inventory. Other features that are mentioned include the ability to integrate your Boxstorm account with QuickBooks Online and track inventory in multiple locations. A Getting Started Checklist that shows you the best way to add your company, location, inventory, and other data to Boxstorm. Training Videos, which cover how to use a variety of features contained in each of the four Boxstorm versions. Documentation on Boxstorm’s features in written form for your convenience. Support Plans that are available depending on the Boxstorm version you are using. FAQs on a number of topics, such as how to schedule Boxstorm training, reset your password, import and export files, auto-create purchase orders, set up reorder points, and more. Release Notes that come out every time a new update of Boxstorm is released so you can check out new features as they are added. 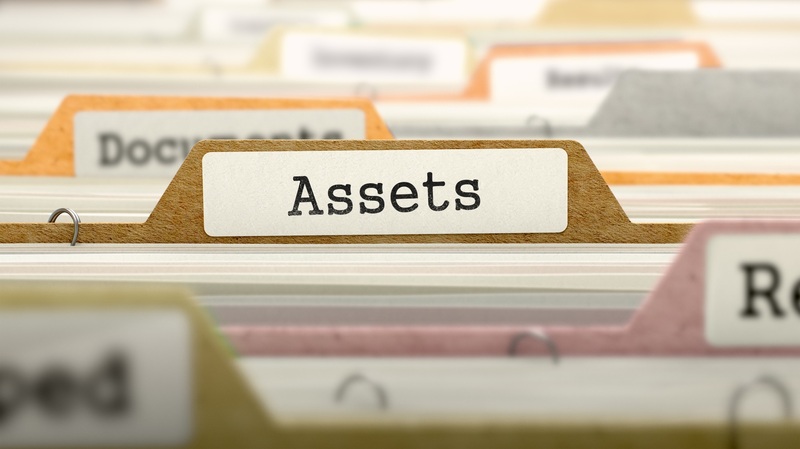 All of these tools, plus many others, help you simplify the process of managing your assets. Excel Spreadsheets – Rather than using CSV files as a means of transporting inventory data from one solution to another, you can use them as an end unto themselves. It is possible to use an Excel inventory template, like the one offered by Boxstorm, to organize your items in a simple manner. Handwritten Notes – If you prefer an even more rudimentary and informal system for managing assets, you can use handwritten notes to record quantities and other information. Be sure to keep these pieces of paper safe and secure because if you were to lose just one of them, it could prove detrimental to your operations. Desktop Software – There are plenty of desktop software options out there that you can use for asset management, but they come at a heftier price than an online solution. Plus, if you aren’t careful, you can end up buying an inadequate solution that has to be replaced by a different one in a few years, costing you a lot of time and money. Successful businesses do not stay small forever. Thus, it is important to have a scalable solution that offers simple features at a low price at the start while also offering more advanced features down the line. That way, you can stay with the same solution for a long time instead of having to upgrade and learn a whole new system on a regular basis. Boxstorm is a great fit for small businesses because its four versions offer all of the simple and complex features they need to keep track of their assets. Start with Boxstorm Forever Free and use it as long as you like. If your requirements expand beyond its feature set, you can graduate up to Boxstorm Basic for sales orders, Boxstorm Premium for purchase orders, and Boxstorm Ultimate for integrations, API access, stock alerts, and more. Get a free account with Boxstorm today and see how simple it is to use!